I first discovered the work of Finnish designer Annika Jermyn at Of a Kind, a brilliant creative project that collaborates with unique artists on limited edition wares. Now living in Brooklyn, the designer combines her interest in graphic design with her fashion design education. The result? 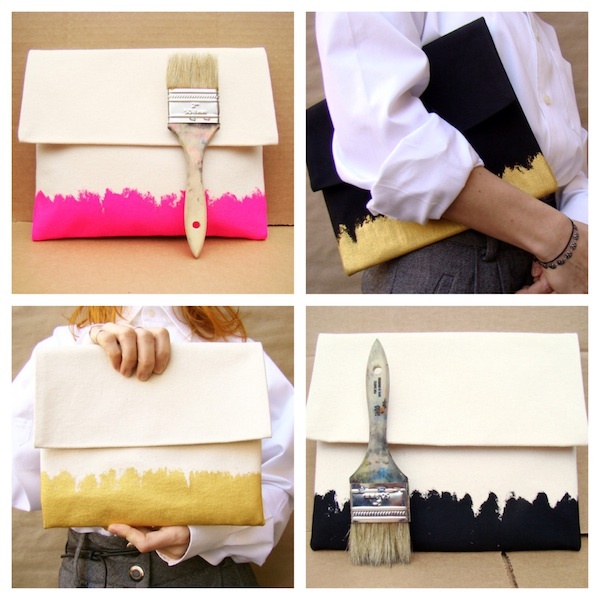 Among other things that she's created, these painterly clutches particularly stand out. Each canvas clutch is hand-painted and is one-of-a-kind. Under the flap is a zipper to open and store all your evening's essentials in it. By far, these original clutches will keep all eyes on you, wherever you go.